Pathfinder Village is set in the lovely Devon countryside in about 47 acres of beautiful woodlands surrounded by green countryside. Nothing lifts the spirits, or makes you feel on top of the world more than good weather. 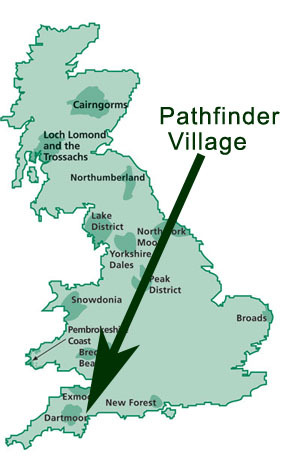 Pathfinder Village is situated in Devon, a county which enjoys a better climate than most parts of Britain. Even when it rains, it seems softer and more gentle. This better climate, away from the stresses of city and town life, can make life so much more fulfilling and enjoyable. 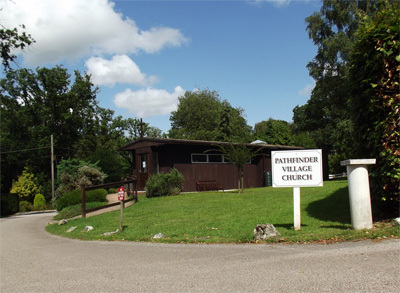 Pathfinder Village is a community reserved exclusively for the over 50’s. A resident manager ensures the smooth day-to-day running of the Park. Up to 2 well behaved pets such as dogs or cats are allowed. There are so many things to look forward to, once you decide to move to Pathfinder Village. The homes are situated in woodlands for you to enjoy on your own, or in the company of your friends and neighbours. You will be within easy reach, by car or local bus, of interesting coastal towns such as Sidmouth, Exmouth, Dawlish and Teighnmouth and Dartmoor, with its raw granite rocks and tors, barren bogs and heather moors is a short distance away. The City of Exeter with its magnificent cathedral and superb shops is close by. Exhilarating coastal walks, the Tamar Otter Sanctuary where otters play in natural enclosures and deer roam free along nature trails, and Widicombe in the Moor … all this is yours to enjoy as a resident of Pathfinder Village. Although Pathfinder Village is only 1 1/2 miles from Tedburn St. Mary and 7 miles from Exeter, there is no need to leave the Village for shopping, it is well catered-for with its own Post Office and general store, hairdressing salon and Doctor’s Surgery. You can get your pension, National Savings investments and all the usual Post Office facilities at the Pathfinder Village Post Office. Being away from the stresses of urban living will be a tonic in itself! But, should it be necessary, medical attention is available from a doctor and nurse at the new Village surgery twice a week. A mobile library visits the village monthly throughout the year. The Village has its own Church serving all Christian faiths with regular Church of England and inter-denominational services throughout the week. The Village has its own fully licensed Residents’ Club. Activities include bingo, dancing, pool, darts, skittles, painting, keep-fit and regular social evenings. The Club’s many activities include social meetings, talks, slide and film shows, cookery demonstrations, entertainment, parties, celebrations and outings. There is something for everyone.